While he’s already plunged ahead signing orders to keep a slew of campaign promises – from gutting the Affordable Care Act without a replacement in place for millions of American, pulling out of the Trans Pacific Partnership – President Donald Trump has not yet undone an Obama administration program protecting undocumented students from deportation. Despite campaign promises, an immediate repeal of the Deferred Action for Childhood Arrivals (DACA) program may not happen. White House Chief of Staff Reince Priebus on Sunday told Fox News the new administration may work through Congress rather than strip away deportation protections for more than 740,000 students whose parents brought them here at a young age. The fate of the so-called Dreamers, law-abiding young students also allowed to work here under former President Barack Obama’s 2012 DACA order, has been up in the air since Trump’s election in November. More than 550 colleges and universities around the nation, including several major institutions in Colorado, have rallied against the repeal of DACA. At his final press conference as president last week, Obama told reporters he won’t be reentering public life any time soon but that there are some racially charged and highly divisive issues he may feel compelled to speak out on if Trump moves forward with policy to back his campaign promises. “There’s a difference between that normal functioning of politics and certain issues or certain moments where I think our core values may be at stake,” Obama said. “I put in that category if I saw systematic discrimination being ratified in some fashion. I’d put in that category, explicit or functional obstacles to people being able to vote, to exercise their franchise. I’d put in that category, institutional efforts to silence dissent or the press. “And, for me at least, I would put in that category efforts to round up kids who have grown up here and for all practical purposes are American kids and send them someplace else when they love this country and they are our kids friends and classmates and are now entering into community colleges or in some cases serving in our military. 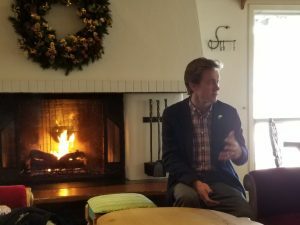 Former state Sen. Mike Johnston, a Vail native and now a Denver Democrat who’s running for Colorado governor in 2018, said at an event in Vail on Friday that he’s getting into the race so early because of the high level of opposition energy stemming from the surprise election of Trump. “We’re going to see a different environment than we’ve ever had before in the last 10 years in terms of what has been a pretty cooperative relationship between the state and federal government,” Johnston said. “There are ways in which that could be much more contentious in the years to come. 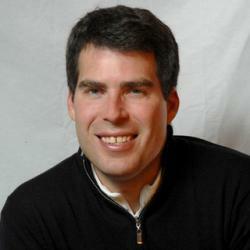 Johnston, an Obama administration education advisor, served as principal of an expeditionary school in Thornton, Colorado before being appointed to the state senate, where he served until his term expired at the end of last year. Trump has vowed to move forward with his proposed border wall with Mexico, even if American taxpayers have to foot the bill first and then get Mexico to pay later. He’s also charging ahead with crashing the Mexican auto industry and renegotiating the NAFTA trade deal between the U.S., Mexico and Canada – both moves that have sent the peso sharply downward. 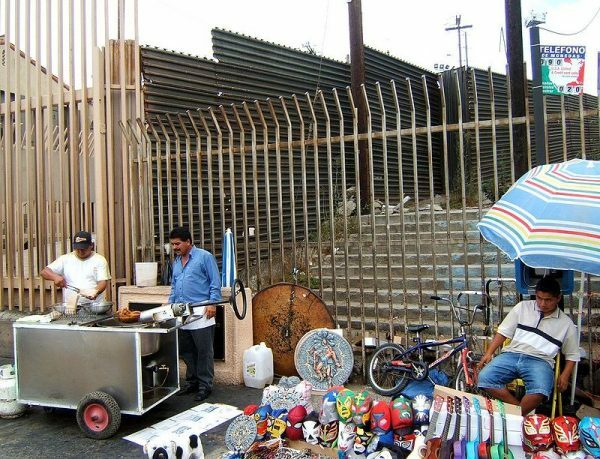 A prolonged economic crisis in Mexico could increase the pressure for workers to immigrate to the U.S. in search of work as well as put a damper on U.S.-Mexican trade and tourism.